After spending some time in SW France and a few days in Paris, Rosemary and I went on our travels. I rarely go anywhere that is not related to work; usually book festivals; but this was pure pleasure. 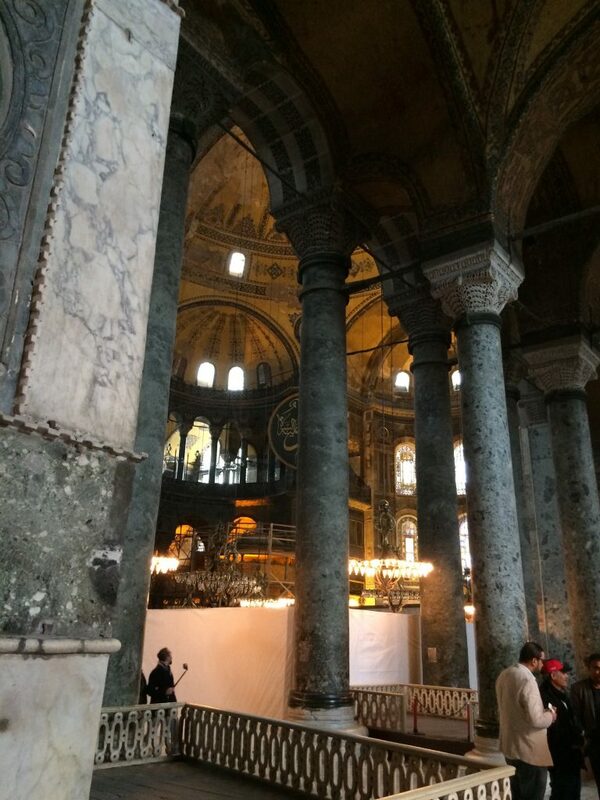 I had always wanted to see the Hagia Sophia in Istanbul, and looking at the way Turkey was going, we decided that it might be a case of now or never. The building encompasses the whole history of western architecture from Roman until the present. 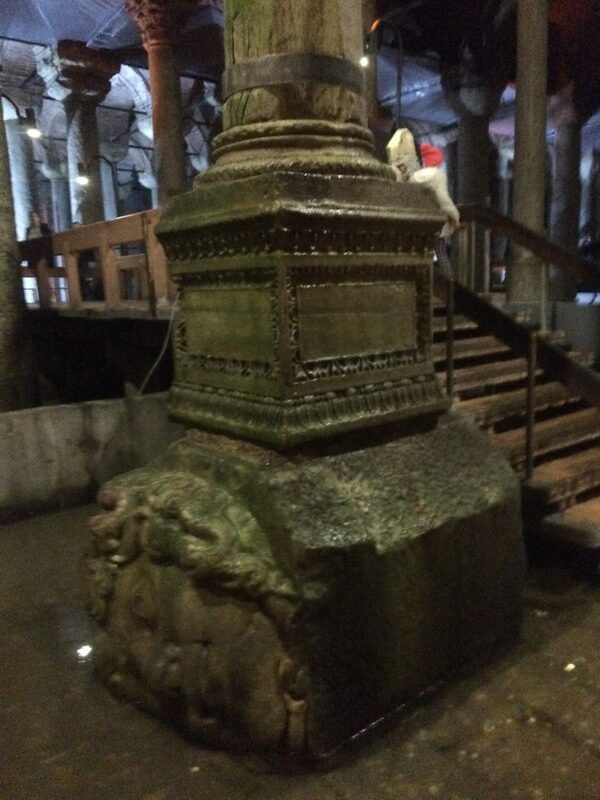 It has influenced countless other structures and it is almost a miracle that it is still standing. 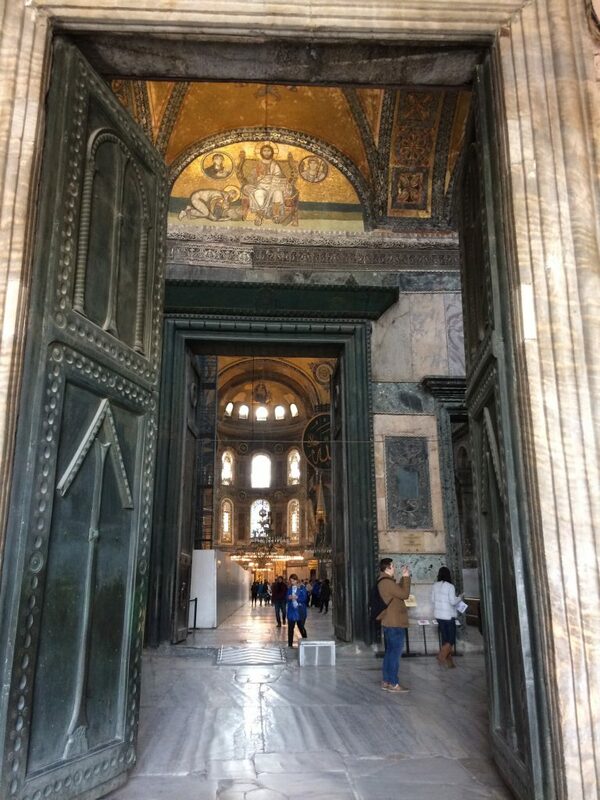 From 537AD until 1453 this giant Roman basilica was an Eastern Orthodox cathedral. With the arrival of Mehmed the Conqueror it was converted into a mosque, but most of the Christian mosaics were plastered over rather than being destroyed. In 1935, under Atatürk, it was converted into a museum. It is one of the most magnificent buildings I have ever visited; up there with the Alhambra and Borobudur. 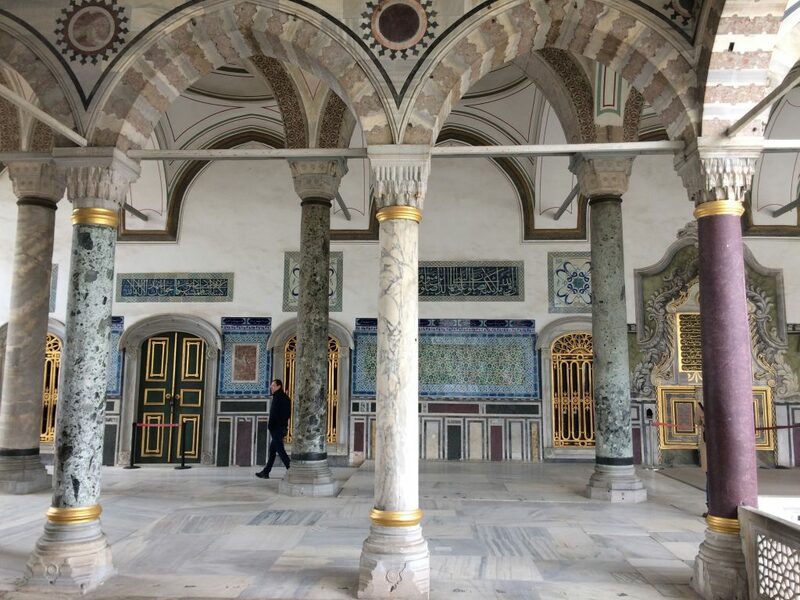 I am not particularly keen on Ottoman architecture except for the mosaics but we had to see the Topkapi Palace, home of the Ottoman sultans. The palace museum was crowded with pilgrims, there to see Muhammed’s mantle, his bowl, his swords, one of his teeth, some whiskers from his beard and, my favourite, his footprint, left on a rock. However, unlike the other relics, this one is probably not genuine. It was extraordinary to see some of the pilgrims: there was a large group of nuns from Indonesia who had come there after a visit to Mecca. They looked cold in the inclement weather. The Hagia Sophia is late Roman, and Istanbul is filled with Roman remains, not the least the four and half kilometers of surviving walls and guard towers. We stayed at the Hotel Fehmi Bey, a modest affair a few doors down the street from the Hippodrome and its three surviving statues. (we were there in March low season, when it was only £23 a night including breakfast. Fehmibey.com) On the other side of the Hippodrome was the Hagia Sophia and the Blue Mosque, you could not get closer to the main tourist sites. 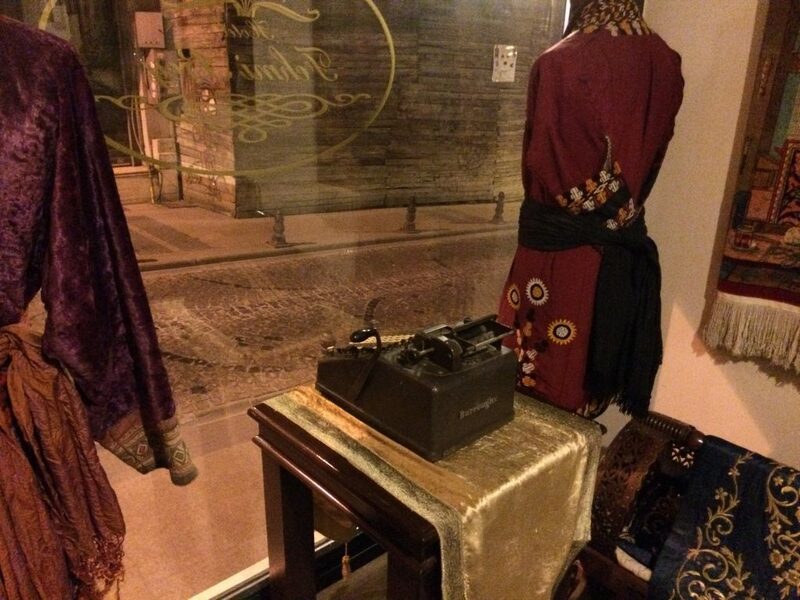 The most extraordinary thing about the hotel was that in the centre of the window looking onto the street was a Burroughs Adding Machine, the very one invented by William S. Burroughs grandfather. For me that was a good omen. I liked the place even before I went inside. It turns out the hotel’s owner is a collector of obsolete office equipment but it was the Burroughs Adding machine that achieved pride of place. 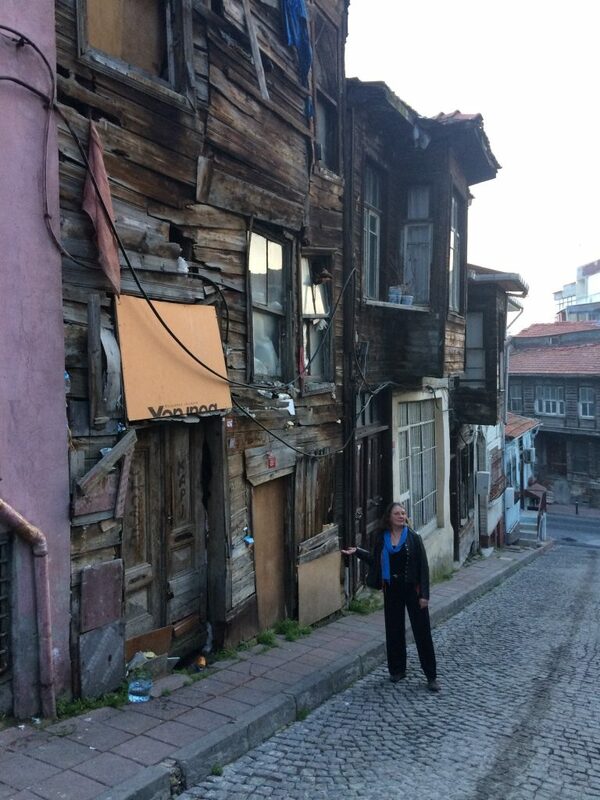 It is very expensive to get insurance for the old traditional wooden buildings of Istanbul and many of them are falling down for lack of care. There does still appear to be some restoration going on which is good, even if it is only being done to attract tourists. All over the old section of Istanbul you are aware that beneath your feet are the remains of palaces and wonderful Roman buildings. The largest mosaic in the world is there, in situ, in the Mosaic museum. We went twice, the work is so beautiful. But most of the time you are just aware that the uneven topography is caused by un-excavated ruins. 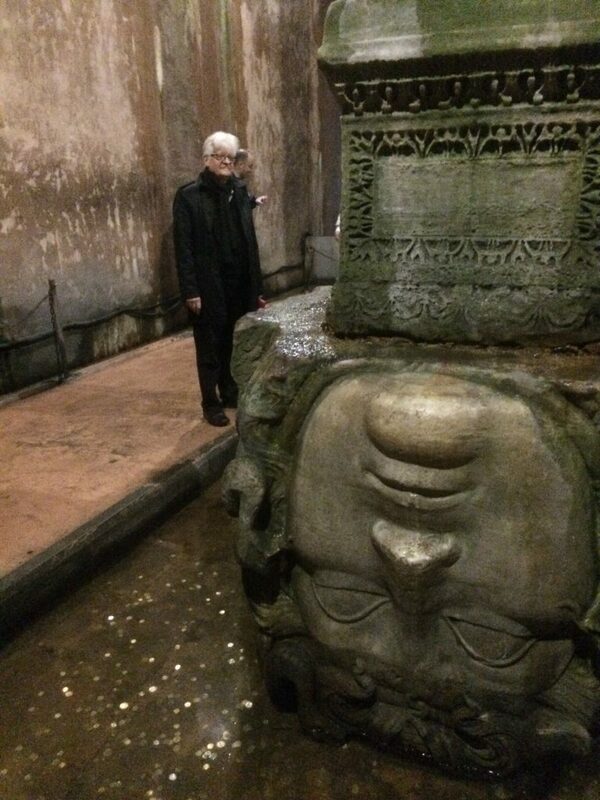 The Roman remains include a number of huge cisterns, the largest of which re-uses several huge medusa heads as column bases. 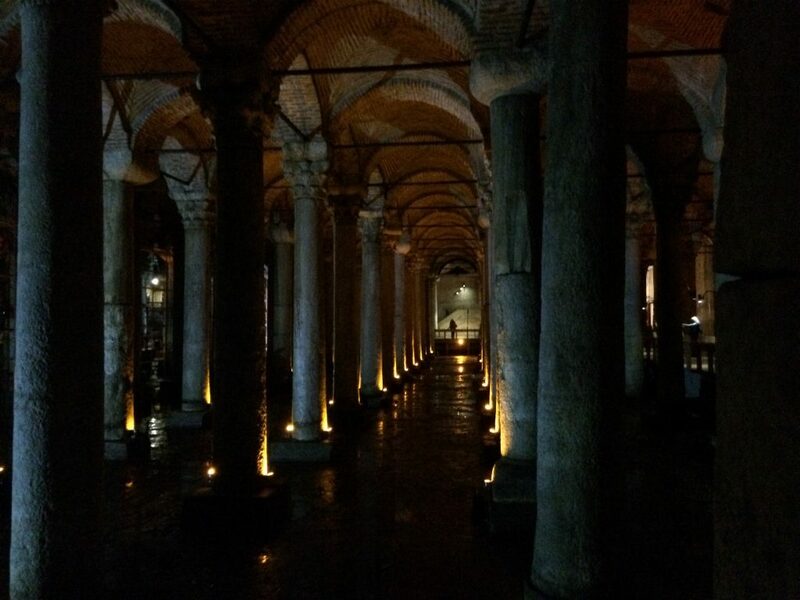 They were of no further use as Gods when the Roman Empire became Christian but made solid foundations for columns in this huge, underground reservoir. I loved Istanbul which is suffering tremendously from the lack of tourists. Now that Erdogan has assumed almost dictatorial powers I am concerned for the future there: for intellectuals, publishers, news reporters, editors and academics, all of whom are seen as the enemy of the reactionary right. For the same reasons I am also concerned for our future in Britain under Brexit, America’s under Trump, and the appalling thought that Le Pen might gain power in France. These are bad times.